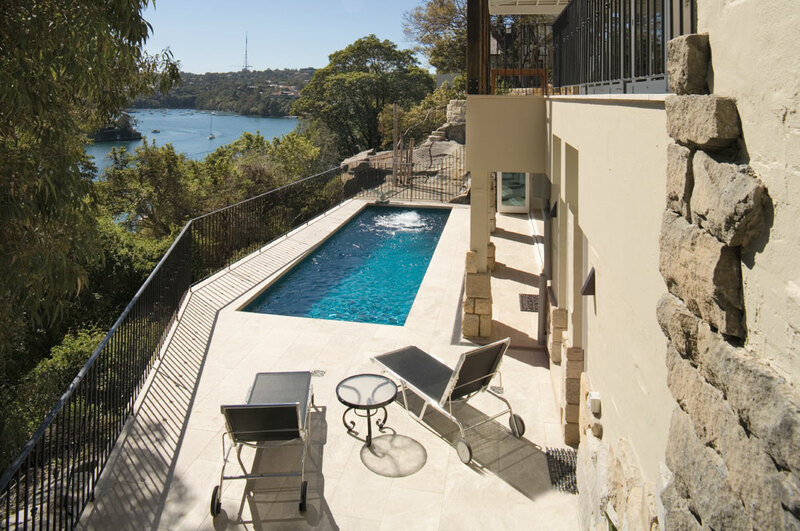 With spectacular views over bushland and a beautiful bay, this stunning above ground pool is an idyllic haven for relaxing, swimming and entertaining. 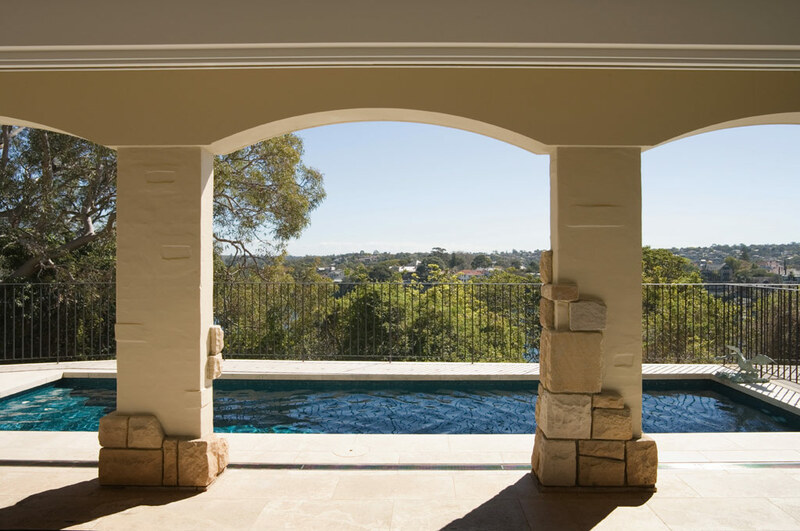 The pool is positioned next to a generously sized alfresco entertaining area, beneath a large balcony that spans the full width of this split-level property. 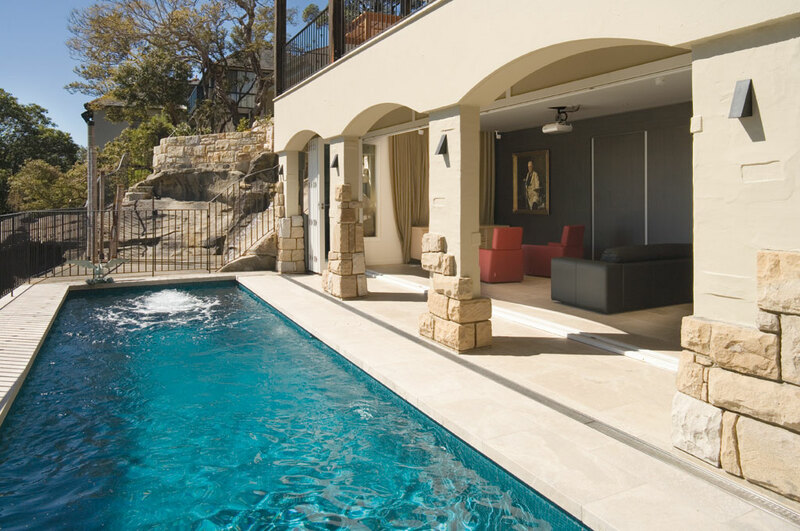 Sandstone pavers provide perfect visual harmony with graceful archways and rough-cut sandstone blocks in the exterior walls. 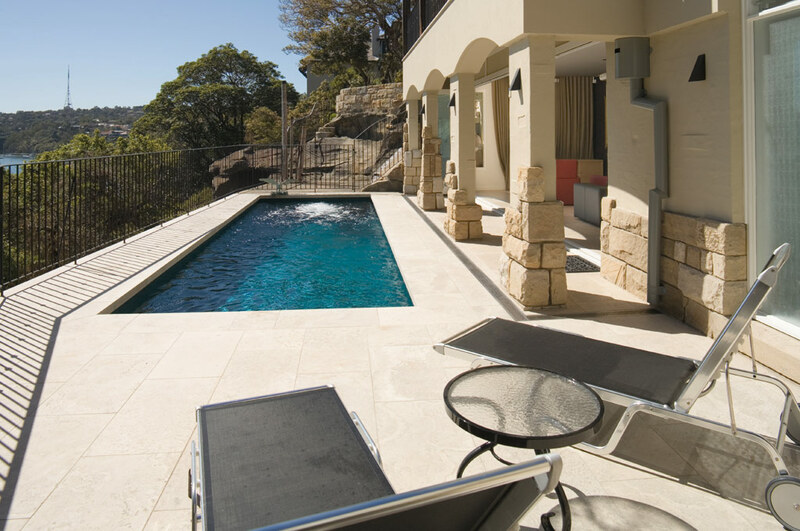 There’s plenty of space to soak up the sun, with wide coping surrounds and a large paved relaxing area. Sapphire pebble lining achieves a vibrant blue water colour. 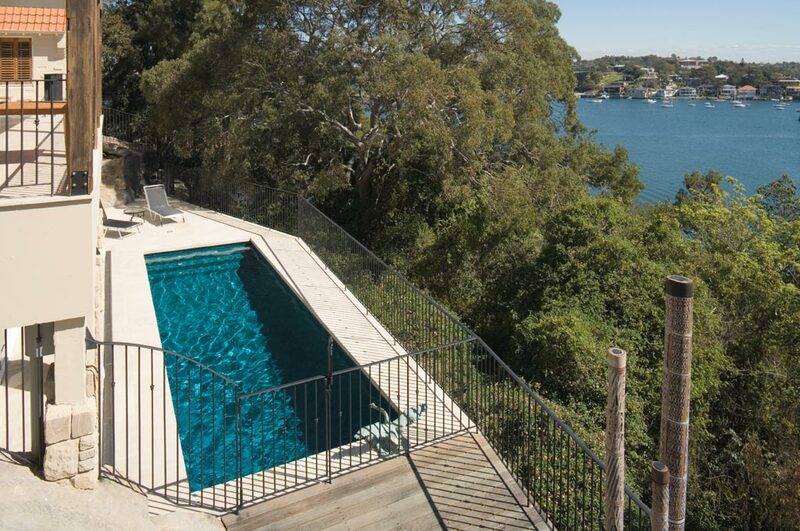 At one end of the pool are three steps spanning its entire width, also serving as a sitting ledge. At the opposite end a powerful water jet sparkles the surface with rippling waves. Aquastar LED lights also illuminate this pool at night, making it the highlight of a truly sensational property, both day and night.